Zesty but deeply and resonantly nut-toned. Roasted cashew, oak, apricot, orange zest, magnolia-like flowers in aroma and cup. Zesty yet sweet, almost sugary, in structure, with a savory hint. Plush, lightly syrupy mouthfeel. Fruit notes in particular persist in a round, resonant, quietly flavor-saturated finish. This exceptional coffee was selected as the No. 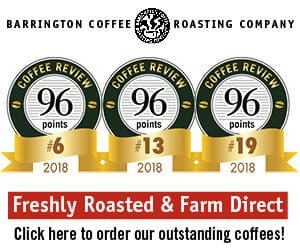 26 coffee on Coffee Review’s list of the Top 30 Coffees of 2017. Produced by members of the Bakonzu tribe from trees of the SL14 and SL28 varieties of Arabica. Organic and Fair Trade certified, the latter meaning they were purchased from small-holding farmers at a “fair” or economically sustainable price. 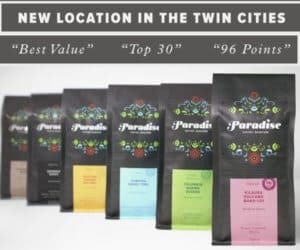 Conscious Cup Coffee Roasters is independent and family-owned and operated cafe and coffee roaster specializing in socially and environmentally sustainable coffees.Visit www.consciouscup.com or call 815-356-0115 for more information. The Bottom Line: Although Uganda has struggled over the years to produce top Arabica coffees worthy of its excellent terroirs and hard-working growers, producers have clearly succeeded here with this very impressive, quite distinctive offering in the deep, resonant style of the best Central Africa coffees.